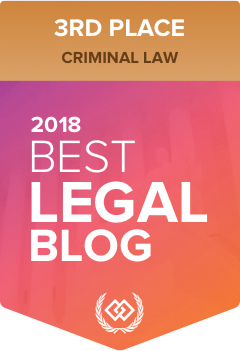 The law firm at which I work is frequently contacted by media outlets for comments on stories related to criminal charges and impaired driving. We often post on our blog and Facebook pages links to the media stories, and these links can inspire a lot of commentary. It should come as no surprise that Canadians have strong feelings about drinking and driving, about police misconduct, and about their Charter rights. Recently, Paul was interviewed by CBC News in relation to a story about a police officer smashing a driver's car window. We posted the link to the interview on our Facebook page. Unsurprisingly, it generated a significant response. Surprisingly, however, was the nature of the responses we received. Commenters on the post appear to fall into two categories: those who sympathize with the driver and are offended that he was not provided his Section 10(a) rights; and those who sympathize with the police, and view the driver as obstructive and guilty. Many people who commented seemed to equate the fact that he was charged with possession of a controlled substance, and possession for the purpose of trafficking with some objective justification for the window smash. I was interested and a little shocked to see that people fell into either of two extremes in this regard. Had I been in the driver's situation, I cannot say that I would have done what he did, but I am also cognizant of the fact that behaving as he did can result in the window being smashed, however unlawfully. But the nature of the comments in favor of the police causes me concern about the understanding of Charter rights that both police (many commenters on our posts are police officers) and some citizens seem to have. Every person who is arrested or detained has the right to be promptly informed of the reasons for their detention. It is not enough for an officer to simply say "You are under arrest." He must advise the individual of why he is being arrested. The smell of marijuana alone is not enough to arrest someone. The individual in the video was right in the legal sense to inquire of the officer as to his reasons for arrest. He did nothing wrong, legally, in asking why he was being arrested and in refusing to step out of the vehicle until he knew why. Worse, however, is the disregard for the presumption of innocence. This is often referred to as the golden thread of our justice system. Without it, justice fails. Look no further than upcoming amendments to the Motor Vehicle Act to see a perfect example of how justice will be failed by the removal of this presumption. Simply because a person is charged with a criminal offence does not mean that they are guilty of it. Nor does it mean that the officer was acting pursuant to any lawful authority in detaining and/or arresting them. To assume that the conduct of the police is justified simply because there were charges laid erodes the justice system. Discussion of these issues is important. It's important to know why we have the rights we have, and how they benefit us.